Search for a city to get some weather information on it. 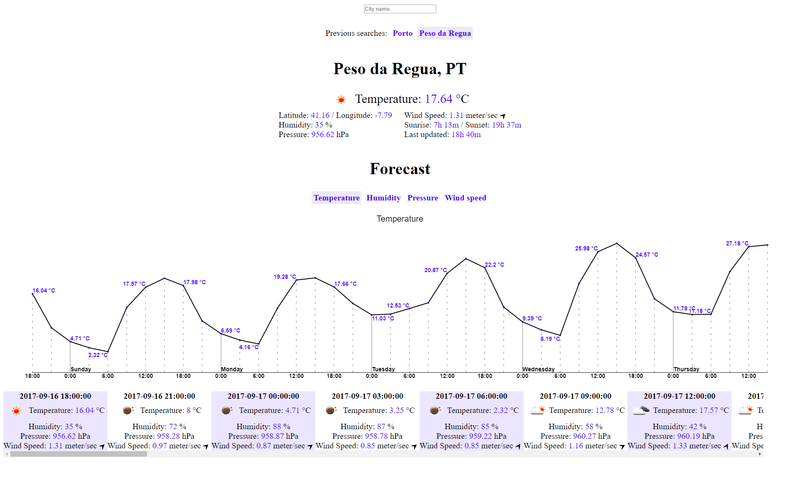 It shows the current weather information, and the forecast of the next 5 days. It keeps track of previous city name searches (so you can easily check it out again). Uses the data from openweathermap.org/, and is written with typescript and react. npm install : Install the necessary dependencies. npm run start : Start the compiler in watch mode, and run a local server at http://localhost:8000.
npm run build : Run the release build (the final result will be located in the ./release/ directory).